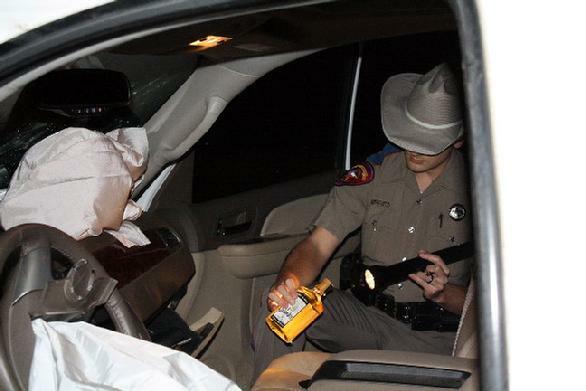 DPS Trooper Chris Stanbery inventories the truck's contents. 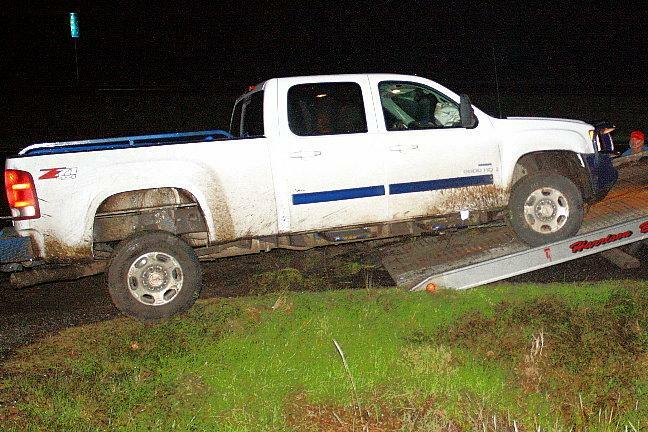 Driver Wrecks Brand New Truck, Hides, Busted for DWI, NEW WILLARD, December 8, 2009 - Shortly before 8 pm on December 8, 2009, a white 2009 GMC Sierra 2500 driven by Jason Cale Riddle, 35, of Moscow, was south-bound on US-59 just a few miles north of Livingston when his truck left the road to the right and plowed through 200 feet of muddy grass before his truck finally came to rest immobilized partially on the shoulder of 59 South. According to witnesses, Riddle fled the scene and knocked on nearby house doors seeking a place to hide. According to one witness when she rejected him, he used profanity and ran and hid behind another house next door. Deputy David Ramsey was the first law man on the scene. Residents pointed out Riddle's whereabouts to Ramsey who found Riddle hiding behind a house, talking on his cell phone. When Deputy Ramsey attempted to detain Riddle, Riddle resisted but Ramsey but detained him anyway. 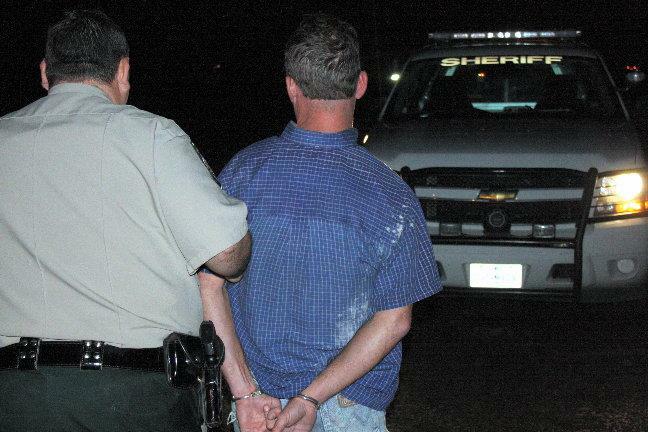 DPS Trooper Chris Stanbery arrived and Riddle was placed under arrest for driving while intoxicated. 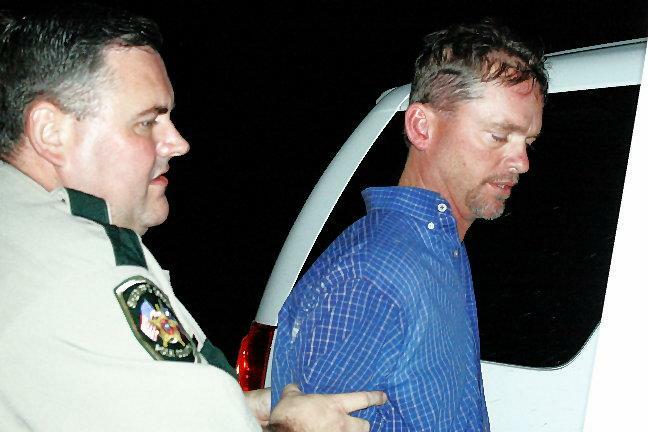 According to Trooper Stanbery, Riddle had a heavy smell of alcohol. Riddle had insurance, his vehicle was recovered by a rollback wrecker from Ken's Towing and it will be stored at Harrison Body Shop in Livingston. The scene was cleared shortly before 9 pm. Deputy David Ramsey escorts Jason Riddle to a waiting patrol unit. Jason Riddle, 35, of Moscow is loaded and taken to jail. 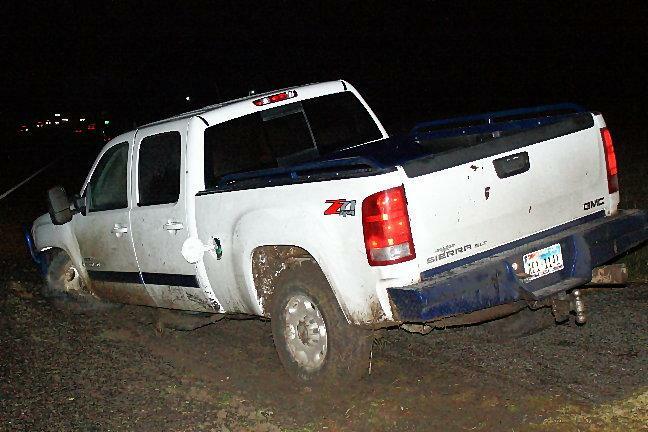 Riddle's truck plowed through soft muddy ground before coming to rest partially on the shoulder of 59 South. 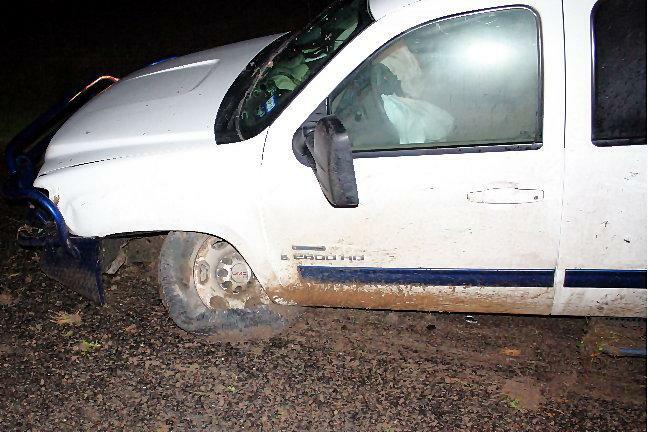 Riddle's truck was immobilized (notice airbags deployed in trucks interior). 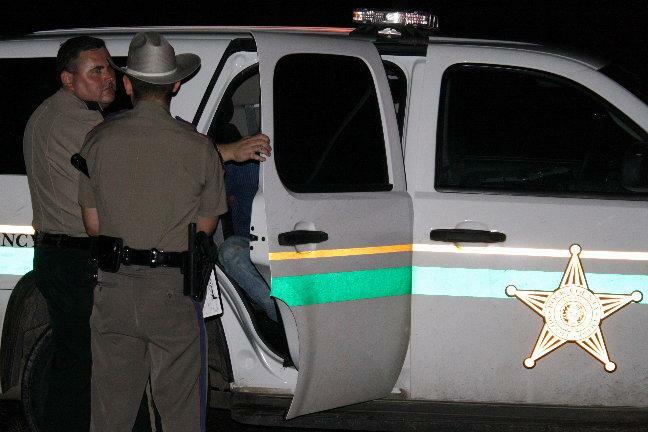 Deputy Ramsey and Trooper Stanbery speak with Jason Riddle before he is taken to jail. Riddle's truck was recoverd by Ken's Towing.